But organizations that use data governance as a vitamin – and practice data governance systemically – gain competitive advantage. This is the premise of a new eBook and Webinar from our partner, data governance leaders, Collibra. In each of the above examples, information is the centre point. We may feel the need for information governance, at a project level, in order to meet some of the demands of each project. In this case decision making would typically have a tactical, project focus. Documentation would be limited to the specific project requirements and perspectives, and may only be shared with and available to the project team. Data governance is taking place to remove an immediate head ache. But it delivers minimal, if any, long term value. In recent year’s we have seen a shift in healthcare. Rather than quick-fix treatments for the symptoms of ill health we have seen a shift back to the causes – such as lack of exercise and a poor diet. 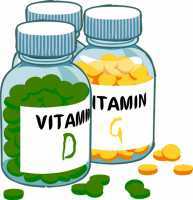 Daily vitamin supplements have become a way of life as we seek to improve and maintain our health. Similarly, if we are to create healthy data, and a data driven culture, within our business we need to integrate data governance principles systemically into our business, information and development life cycles. By crowd sourcing data governance we make the task manageable, engage our stake holders and deliver lasting value. Yet, realistically. many organisations are unable to access this power due to a lack of trust. This lack of trust can be linked to many business people’s lack of engagement with their data. Data governance helps to increase engagement with data, which in turn increases trust. When data requirements, standards, policies and sources are defined by and transparent to decision makers, trust is one of the out comes. Information is a shared resource! Yet, with a tactical approach to data governance we focus on data from a single perspective. This means that we may makes changes that inadvertently impact other stakeholders – leading to frustration and conflict. Data governance helps to build an enterprise understanding of how data is used and who will be impacted by any changes. Changes are communicated, negotiated and prioritised according to enterprise needs. This transparency and collaboration builds trust, not just in the data, but in each other. Information is an enterprise resource! Yet, with a project approach to data governance we focus on data with our project blinkers on. Yet, with a project approach to regulations and compliance we tackle each new regulation in isolation. Each regulatory team has to build their own framework for data compliance . Data governance helps to define a shared framework for regulatory data policies, standards and traceability. Each new regulatory requirement can be assessed within this framework – allowing existing work to be reused an reducing the regulatory burden. Yet, systems are frequently implemented to enable specific processes and functions.. Similar data is stored in multiple places, with (frequently) very little understanding of how it is related to other systems, how it is being used for reporting, or what the impact of change may be. Data governance helps to build an enterprise knowledge base where the relationships and importance of data is clearly traceable – from business use to technical implementation – and where the stake holders that may be impacted by any proposed change are kept in the loop. This allows the business impact of proposed changes to be swiftly assessed and managed. Of course, there are many more reasons to treat data governance as a vitamin. What are some of yours? ← Are you measuring your Business IQ?